Displaying 1-50 of 133 items. These four motets were composed in the fall of 1921 while Copland was studying with Nadia Boulanger in Paris. The four motets have remained unpublished until now. Writing to Copland about them in 1924, Boulanger tells the composer that "those motets sound in the voices in a stunning manner." Anton Bruckner (4 September 1824 - 11 October 1896) was an Austrian composer known primarily for his symphonies, masses, and motets. His symphonies are often considered emblematic of the final stage of Austro-German Romanticism because of their rich harmonic language, complex polyphony, and considerable length. Bruckner's compositions helped to define contemporary musical radicalism, owing to their dissonances, unprepared modulations, and roving harmonies. Here are seven hymns for unaccompanied SATB choir. German text. The a cappella classics Christus Factus est and Locus iste are central to this collection featuring the best of Bruckner's outstanding output for unaccompanied choir. These pieces are among the most enduring choral masterworks of the 19th century. Simon Halsey's performing edition includes an informative introduction, keyboard reductions for rehearsal and English translations of the Latin texts for reference. This new anthology of Part's choral works replaces the earlier one published in 1999. It is even more representative of Part's work, not only because of the recent additions, but because of the very welcome decision to include two selections from his major a cappella work, Kanon Pokajanen. The revised selection is also carefully geared towards the music represented on three CDs, all of which were recorded in consultation with the composer. introduced by Paul Hillier. 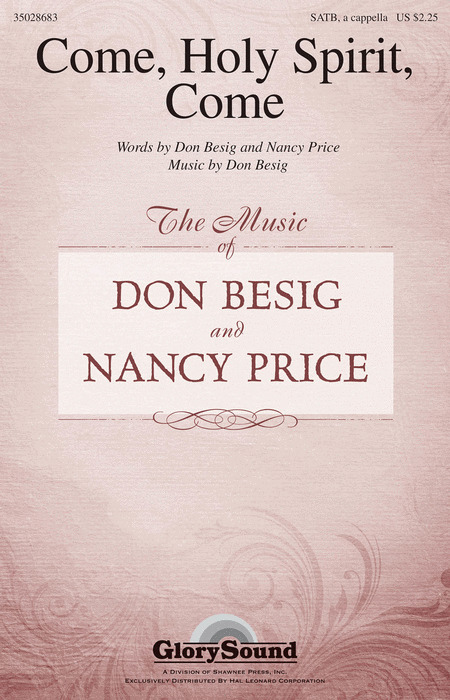 Selected and edited by Barry Rose, Sing, Precious Music is a superb collection of nine anthems written between the 1960s and today, one newly published in this volume: all by noteworthy composers if choral works, all memorable, suitable for concert as well as liturgical use, and all within the capabilities of the modern mixed choir, large or small. A Choral Advisor to Novello since 1999, Barry Rose has been associated with many forms of choral music for over sixty years. The Novello Choral Programme is the creation of a panel of advisers preeminent in the British music scene. The aim is to publish essential editions from the best of the wealth of existing choral music, ancient and modern, while widening the repertoire with exciting new composers and new trends in music making. More Than Hymns is a two-volume collection of anthems for mixed voice choirs featuring extended arrangements of existing hymn tunes, together with original anthem-style settings of the texts of several well known hymns. Of the seventeen works in this second volume, seven are published here for the first time, including new pieces by composers of today: John Barnard, Indra Hughes, Stephen Jackson, Bryan Kelly, Barry Rose and Gavin Williams. The texts cover many seasons of the church's year - Advent, Lent, Passiontide, Easter, Communion, Evensong and more. An excellent compilation of twenty-four anthems for Mixed Voice Choirs featuring texts taken from the Psalms, featuring new works and performing editions published for the first time. The anthology spans four centuries and includes material by many of the greatest composers of English choral music, including William Harris, Herbert Howells, Samuel Sebastian Wesley and Bernard Rose. Composed for the Reykjavik Cathedral Choir's "Solo Dei Gloria" Festival in 2004, Advent Antiphons is an exquisite concert setting of the Great O Antiphons. Traditionally chanted or sung between 17 and 23 December, the Antiphons comprise seven brief prayers which proceed in sequence, charting events from before Creation through to the birth of Christ. The powerful sentiments conveyed in these texts are brought to the fore in Chilcott's masterful writing for double choir; he embroiders a beautifully textured work in which echoes of plainchant combine with richly expressive harmony. In the third and fifth movements, the composer instructs the individual sopranos and altos in each choir to sing their parts in their own rhythm, to entrancing effect. Without doubt, this is some of Chilcott's finest music to date; subtle yet potent, haunting, and uplifting. These anthems by Andrew Carter, Bob Chilcott, and John Rutter contain ten of their most popular pieces to date. The anthems have been carefully selected to be both approachable to a wide range of choirs and appropriate to the needs of today's liturgy. Together, these collections offer an unrivalled choice of text, style, and scoring, which will make them indispensible and treasured additions to any choir library. The beautiful eight-part setting of 'My Prayer' starts out with a beautiful alto duet. This challenging piece is a joy to perform and to hear. 'Pray that Jerusalem may have peace' is a Scottish Psalter that was commisioned to commemorate the 150th Anniversary of the consecration of Glenalmond College Chapel. The multiple key and tempo changes make this a challenging but exciting piece to perform. The text in 'God so loved the world' comes from John 3:16. The soprano solo adds a beautiful descant to this touching piece. 'Even Such Is Time' comes from the text by Sir Walter Raleight. The piece starts out with soft, but expressive, four-part harmonies. Half way through the song, the men's parts divisi. The soprano solo at the end adds a great finish. George Herber's text in 'Even-Song' is brought to life with gorgeous harmonies and yet another sweet soprano solo. Brought together for the first time, a comprehensive collection of timeless choruses newly engraved in recent editions from the historic Novello series of vocal scores. For programming festivals, concerts, celebrations or just run-through practice for the choral society, events can be organised at last from a single volume of classics without the need for the singers to carry scores of any number of oratorios or motets. Includes introductory notes by Brian Kay. Irish composer Sir Charles Villiers Stanford composed a substantial number of concert works, including seven symphonies, but his best-remembered pieces are his choral works for church performance, chiefly composed in the Anglican tradition. 26 anthems for SATB chorus by twentieth-century composers. These fifty anthems have been chosen with average church choirs in mind, but it is hoped that the collection will prove useful to cathedrals, collegiate churches and those churches supporting cathedral-like choirs. The collection covers all the main seasons and festivals in the church year and also includes a number of anthems for general use. Twelve of the anthems are suitable for unaccompanied singing. Like the basic bread and wine elements of Mass, the fundamental musical materiel of "Brief Mass" are simple. Yet, like the profound and eternal meanings of Mass, the use and development of the musical materials strive for deeper musical dimensions. The pitch material of each movement is basic, very limited, and does not stray from its foundation pitches. Each individual movement serves as a vital link to the whole of the work. "Brief Mass" requires a minimum of eight singers for performance: SSAATTBB. It is suggested that the singers be divided into two separate SATB antiphonal choirs. A two-volume collection of short anthems from the Novello Choral Programme, representing five hundred years of church music, all suitable for SATB chorus with keyboard. Familiar and long-established works are represented alongside many lesser-known and more recent works by composers such as Douglas Guest, Philip Rose and Ralph Allwood. Many of the pieces are ideal as Introits and Anthems for general church use, whilst other have a more specific intended function within the liturgical calendar. However, all are well suited to both devotional and concert performance. The works here are short, ranging from straight-forward to technically challenging and more exciting. As a whole, the collection features an overwhelming number of choices for choirs of all different sizes and abilities. A true apotheosis of life, Mendelssohn's music absolutely overflows with energy, ebullience, drama, and invention, as evidenced in his most enduring works: the incidental music to A Midsummer Night's Dream. While the sunny disposition of so many of Mendelssohn's works has led some to view the composer as possessing great talent but little depth, however these religious compositions reflect the complexity and deeply spiritual basis of his personality. German and English text. A set of unaccompanied eight-part motets with German and English texts. These fifty anthems have been chosen with average parish church choirs in mind, but it is hoped that the collection will prove useful to cathedrals, collegiate churchs and those churchs supporting cathedral-like choirs. Anthems suitable for unaccompanied singing and those needing organ accompaniement are about equal in number: most are for four voices without divisi parts. This collection covers all the main seasons and festivals of the Church's Year, and also includes 21 anthems for general use. Faure was not drawn to compose a Requiem because of the death of a loved one, even though his mother had died during the early stages of composition and his father had passed away two years before. Faure's composition does not set his Requiem to the standard liturgical text, instead adding a lyrical Pie Jesu and transcendent Paradisum, and omitting the Dies Irae and Tuba Mirum - which, for most composers, are opportunities to demonstrate the dramatic possibilities available with the choral and orchestral forces. As a result the mood of the Requiem is relatively calm and peaceful and often referred to as a lullaby of death. Faure's unconventional composition has become a firm favourite in the repertoire and available here is the vocal score, for soloists and SATB choir with piano accompaniment, as edited by Desmond Ratcliffe. Gabriel Jackson's music has been performed and broadcast throughout Europe and the USA and has been heard, in recent years, in Cape Town, Ho Chi Minh City, Kiev, Kuwait, Sydney, Tokyo and Vancouver. His works have been presented at many festivals in the UK and beyond and his liturgical pieces are in the repertoires of many of Britain's leading cathedral and collegiate choirs and in 2003 he won the liturgical category at the inaugural British Composer Awards. "Salus Aeterna" is a bright and mercurial piece that makes full use of the delicious fleeting harmonies and close-written sonoroties of its flowing melodic lines. It sets a Sequence for Advent Sunday that looks forward to Christ's coming and subsequent judgement of all things. The exquisite miniature "O Thou That Art The Light" sets an intimate prayer by St Augustine of Hippo asking for God's grace to know and serve Him. Simple and homophonic it is infused with Jackson's characteristic passion and luminosity. "O fear the Lord" sets two verses from Psalm 34. A controlled organum-style opening gives way to a more fervent, harmonic middle section. An approachable and beautiful piece. "Salve Regina" is an exquisite piece, simple and homophonic in style, and with a luminescent beauty characteristic of many of Jackson's choral works. The piece begins quietly and reverently. There is a graceful soprano solo in the central section, after which the harmony opens out and richly blossoms in ecstatic praise of the Virgin Mary, before ending serenely as it began. The short expressive piece "Ah, mine heart" sets a fifteenth-century penitential poem of great fervour. Jackson alternates a refrain in a simple plainsong style with more passionate, homophonic verses, to powerful effect. A setting of the Trinity Sunday text with achingly pure and fluid melodic lines feature throughout, imbuing the piece with characteristic clarity and luminosity. The change to A major for 'Trinitati in Unitate' is radiant, as is the final section, in which the choir divides into eight parts to proclaim the glory of the Trinity. Uplifting and powerful, this is rewarding music for committed choirs. Composed for the Feast of Corpus Christi, "O Sacrum Convivium" has a poise and beauty rare in choral music. Jackson uses the full sonic opportunities offered by the divided scoring, moving effortlessly from controlled meditation to ecstatic fervour, all delivered with absolute belief and clarity. The anthem "Now I Have Known, O Lord" is set to a text by the 10th-century Sufi mystic, Al-Junaid. For the most part, the mood is intimate and introspective; intertwining, whispered melodies, sometimes in free time, alternate with quiet homophony. There is a moment of soaring, unrestrained ecstasy towards the end of the piece before it draws to a hushed conclusion. Suitable for a variety of occasions, this is beautiful, challenging music for serious choirs. This major work by one of Britain's leading choral composers was commissioned by St Mary's Cathedral, Edinburgh. The setting is terse and direct, in the manner of the Poulenc Mass, and the textures often unusually pared-down. By turns fiery and exuberant, and inward and numinous, the music includes a huge variety of textures and techniques, including flowing melismas, luminous key changes, and pure homophony. This is a work of great power that will appeal to committed concert and church choirs. 17 Choruses for mixed voices from Handel's sacred works. Selected with introductory notes by Brian Kay. Rarely brought together, these diverse choruses demonstrate the enduring vitality of Handel's writing. One of most popular of 20th century British composers, in concert and on disc , Gerald Finzi's works are lyrical, subtly understated, often elegiac in tone, mingling human pain and natural beauty. These beautiful pieces are suitable for funerals and memorials. A first retrospective of Giles Swayne's challenging but rewarding liturgical settings. This album brings together five short religious choral settings, for mixed voices unaccompanied or with organ. Missa Papae Marcelli, or Pope Marcellus Mass, is Palestrina's most well-known and most often-performed mass, and is frequently taught in university courses on music. The mass is freely composed, not based upon a cantus firmus or parody. It is a six-voice mass, though the use of the full forces is reserved for specific climactic portions in the text, and voice combinations are varied throughout the piece. It is set primarily in a homorhythmic, declamatory style, with little overlapping of text and a general preference for block chords such that the text, unlike many polyphonic masses of the 16th century, can clearly be heard in performance. Palestrina first published his 29 five-part motets, to words from King Soloman's Song of Songs, in 1583-1584 in Rome. These are most rewarding and challenging pieces for ensembles looking to add to their repertoire. The 'Three Latin Motets' were written as choral 'Visions' in the dramatic tableaux 'The last Supper.' The Visions cut across the physical action of the drama, taking us through Christ's Passion in reverse order: The Crucifixion (O bone Jesu), The Stations of the Cross (Pange lingua) and The Betrayal (In supremae nocte cenae). In the opera, the motets are pre-recorded, but are here available for separate concert performance. The tercentenary of the death of world-famous English Baroque composer Henry Purcell (most widely known for his opera "Dido and Aeneas") will be celebrated everywhere. This volume offers an opportunity to choral associations to join the celebration. With Purcell's expertise in setting the English language, ten of the eleven anthems are in English (one in Latin). The editor, secretary to the Purcell Society, has selected those most representative and most useful, from among the composer's prodigious output. Giovanni Palestrina's Missa Brevis for four unaccompanied voices, has been edited and arranged for modern usage, by Henry Washington. This edition also contains a piano reduction for practice purposes. Herbert Howell's Requiem written for unaccompanied SATB chorus and soli. Although written in 1936, Requiem was not released for performance until 1980, held back by Howells following the death of his son in 1935. It is a harmonious and deeply Romantic composition, but restrained and it is at these moments we realise how affected he was by his loss. It was the composer's intention that Requiem should be performed a cappella, however he provided a limited organ part, for rehearsal purposes only, which is included here. A powerful setting for 8-part choir of three of the Good Friday responses at matins: "Tenebrae factae sunt," "Tradiderunt me" and "Iesum tradidit impius." Commissioned by Cappella Nova and recorded by them on Linn Records. 20 minutes. Scottish composer James MacMillan (b. 1959) composed this liturgical setting in 1977, published here for the first time. Latin text: Kyrie, Gloria, Sanctus, Agnus Dei. An accessible addition to the repertoire for intermediate standard choirs, but one which professional groups will also find rewarding. A unique anthology which casts its net far and wide across seven centuries of unaccompanied European choral music, this book is a fascinating selection of thirty pieces, ideal for enterprising choirs looking for something out of the ordinary to enliven their repertoire. Diversity and eclecticism are the hallmarks of this stimulating collection: the pieces range from two to eight voices; from monuments of the Renaissance to miniature canons by Lawes, Schubert, and Brahms; from "Sumer is icumen in" to Stanford and Grieg. This is a truly European anthology, encompassing the music of composers from England, France, Spain, Norway, Italy, Germany, and the Netherlands. The contents are arranged chronologically, and though they include a few classics of the genre that no such survey can afford to ignore, the majority of pieces are unjustifiably lesser known. All are newly edited from their sources, at original pitch and in original note-values wherever practical; minimal editorial intervention allows this music to breathe afresh. There are notes on each piece, and prose translation for non-English texts. John Harbinson is a winner of the prestigious MacArthur Foundation's "genius" award, the Pulitzer Prize, and the Heinz Award in the Arts and Humanities. Harbison has composed music for most of this country's premiere musical institutions. Here is a collection of his motets for unaccompanied mixed voices. This colleciton of pieces represent the high art and refinement of the choral song from several countries during the age of the Renaissance. The vocal chamber music in this collection was designed for entertainment in a palace chamber or the home. All of the represented forms in this collection used both the familiar style of the homophony as well as polyphony. the pieces can be performed with multiple voices to each part or s little as one voice for each part. For the German and French songs, the original text is provided as well as an English paraphrase. Seven popular choruses from the Gewrman Baroque and Classical periods are gathered together in this collection that offers quality and value. Excellent for contest and festival! This practical performing edition is based on the single extant manuscript preserved at the Bodleian Library. The beautiful and well-written Missa Cantate (Gloria, Credo, Sanctus, and Agnus Dei) follows the well-established technique of drawing some material, usually the cantus firmus, from a pre-existing work. Displaying 1-50 of 97 items. This celebratory and joyous original work speaks of music, of wonder, of praise and of thankfulness. Opening with vibrant fanfares, the energy, power and enthusiasm of this anthem make it a magnificent addition to the sacred repertoire. A passionate Latin text, Adoramus Te embodies all of the purity and pristine beauty of Renaissance music. Sung a capella, this reverent masterwork may be used in concert, contest, or festival settings by school or church groups. Appropriate for high school children. Bach's famous instrumental arioso is set here with a simple Latin text. The expressive piano accompaniment can be used alone or with the optional string parts, richly enhancing this choral work. A beautiful way to introduce your singers to important works of the master composers. 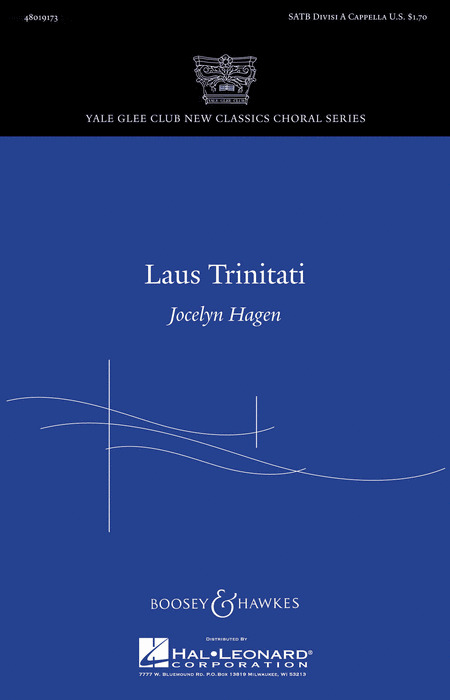 Set in a gentle 3/4 meter, this beautiful setting of the familiar Latin text offers younger and developing choirs an opportunity to build important performance skills through legato phrasing and expressive contemporary harmonies. Available separately: SATB, 3-Part Mixed, SSA. Duration: ca. 1:45. A stunningly beautiful new setting of the Latin text, this work is vocally expressive and immensely rewarding in performance. Although the title may conjure images of power, this sacred anthem is actually a prayer. The composer constructs lovely flowing lines within a chorale style and introduces some delightfully surprising harmonies. The inspirational words come from the Book of Common Prayer. Easy to medium. Ave Maria, one of Lauridsen's growing series of a cappella motets on well-known Latin texts, received its world premiere performance by the Los Angeles Master Chorale, conducted by Paul Salamunovich. The composer wrote, "This serene setting was specially composed as a 70th birthday gift to Maestro Salamunovich, who continues to enrich us all through his magnificent and enduring contributions to the art of choral music." The changing moods of the text's two verses are reflected in a pair of strong and evocative themes, and in polyphonic textures enriched with divisis to eight or more parts, and peppered with the composer's trademark "gentle" dissonances. A beautiful rendition of the sacred text from the Gospel of Luke set for SATB divisi chorus and mezzo soprano soloist. This work has been recorded by the Vancouver Chamber Choir, Jon Washburn conducting. Duration: 4:45. Blessed is he that comes in the name of the Lord. Set in an expressive 3/4 meter, the Latin text and carefully crafted vocal textures create a wonderful harmonic work. Ideal concert/festival use, it may be performed with keyboard only or with the optional strings and brass of the chamber orchestration. Available separately: SATB, 3-Part Mixed, SSA. Instrument parts available as a digital download (tpt 1, tpt 2, euph, tbn 1, tbn 2, vln 1, vln 2, vla, vc, db). Duration: ca. 2:15. This a cappella original work is both accessible and appealing for developing choirs and ideal for contest and festival repertoire. The Latin text of this contemporary concert work is not difficult and the obbligato trumpet adds rhythmic exuberance. An excellent opener for honor choir, high school and community groups! Duration: ca. 2:00. K. Lee Scott has taken a Latin setting of Psalm 51, Create in me a clean heart, and laced it with a luscious 21st century harmonies. Gentle and yet stirring, this setting is excellent for college or community choirs, appropriate for concert or worship. Medium to difficult. Dr. Cristian Grases of USC is a native of Argentina. He is the editor of a new series with Gentry called The Choral Music of Latin America and the Caribbean, and it is proving to be a delightful collection of Latin gems. This piece begins with tension and disharmony but breaks into soothing chords, lush and full of consolation. The Latin text honors the noble wood of the cross on which Christ was crucified. Commissioned by the Indianapolis Youth Chorale for their performance in the Meyerson Symphony Hall in Dallas for the 2013 ACDA convention, this thrilling sacred work showcases mixed voices with piano and organ. Featuring sonorities that move from rhythmically vibrant to expressive and lyrical to a contrasting chorale section, this selection is excellent for festival occasions in worship and concert. Translated out of many, one, this Latin phrase found on the Seal of the United States celebrates the diversity that is so much a part of the American journey. A contrasting lyric middle section provides your choir with the opportunity for more expressive singing. Along with word painting and a rhythmic piano accompaniment, this song will create the ideal patriotic moment in your concerts! Patti Drennan : Fanfare and March on Gloria! Following a short a cappella vocal fanfare, this exuberant work transitions into a lively 12/8 theme with full vocal textures and rich harmonies. The middle section is a contrasting slower 4/4 legato followed by the return to the original theme and a glorious conclusion. Ideal for school, community and sacred concerts! Available separately: SATB, SSA. Duration: ca. 2:40. Rhythmic energy and bright mixed meters give this Latin setting a colorful quality that will keep your choir and audience fully engaged. After a contrasting middle legato section, the main theme comes back and builds to a fantastic conclusion. Easily learned and impressive in performance! Available separately: SATB, 3-Part Mixed, 2-Part. Duration: ca. 2:00. Striking accents, dynamic contrasts and a pulsating rhythmic energy give excitement to this accessible work that is especially good for younger and developing choirs in middle and high school. Opening with a bright statement of the main theme, it transitions into a more reflective pleni sunt coeli before the first statement returns with a descant. In Latin. Available separately: SATB, 2-Part, VoiceTrax CD. Duration: ca. 2:15. Alternating between a dance-like 6/8 and a more tranquil 2/2 meter, this buoyant setting of the Gloria of the Latin mass is a fresh and contemporary work that will absolutely delight your audience! Whether you perform it with piano or with the sparkling chamber orchestration, this will become a welcome addition to the choral repertoire! Available separately: SATB, SSA, ChoirTrax CD. Chamber Orchestra score and parts available as a printed edition and as a digital download (fl 1-2, ob, cl 1-2, bn, perc 1-2-3, hp, vn 1-2, va, vc, db). Duration: ca. 4:00. This is the opening portion of Franz Schubert's Gloria from his Mass No. 1 in F Major, D 105 that he wrote as a very young man. Patrick provides an accessible piano accompaniment helping to support singers in this energetic Latin setting that is filled with dynamic contrast. Available: SATB. Duration: ca. 2:22. This is arguably one of the most popular Christmas texts in Latin. Trenchard's setting is exhilarating, rhythmically energizing and harmonically colorful. Church, community, high school and college choirs will thoroughly enjoy this piece. A great opener or festive anthem. Medium difficulty. Commissioned by Soli Deo Gloria, this 9-minute setting of Psalm 104 is described by the composer as overflowing with the glories of creation, earth, and the heavens. Glorious Majesty is a work of contrasts, with sections performed by both large and small groups of singers, as well as shifting moods and harmonies, to highlight the distinction between passages in the text that praise God and those that praise God's creation. Douglas E. Wagner : Halle, Hodie! Doug Wagner pairs a light calypso feel with Latin text. Every part in this piece gets its moment in the spotlight and sings together with carefully planned voice leading. A persistent bass line runs throughout with colorful additions of an optional string bass, bongos, shaker and claves. Appealing for both general and Christmas performances. Available separately: SATB, percussion 1 & 2, string bass; StudioTrax CD. Duration: ca. 2:25. This amazing work, premiered by the Los Angeles Master Chorale, Grant Gershon, director, is a contrast of homophonic refrains against polyphonic verses. Beginning with the austere Sacred Harp tune Heavenly Home, California composer Kirchner sets hallelujahs leaping and plunging and circling through the choir to thrilling results. Duration: ca. 3:30. A warm, contemporary setting of a standard song loved by many. The vocal writing is smooth and appealing. This anthem works well throughout the year. The optional accompaniment CD contains a full orchestration beautifully scored. Truly inspirational. Available: SATB, SAB, SSA, ShowTrax Cassette. This a cappella Shawnee Press Classic, by composer Houston Bright has been a staple in choral libraries for many years. Greg Gilpin has created a new SSAB voicing suitable for developing voices and smaller choirs retaining the vocal finesse of the original SATB, which is newly engraved and edited for today's standards. Discover, again, this great choral work. Available separately: SSAB, a cappella; SATB, a cappella; SSAA, a cappella; TTBB, a cappella. Duration: 2:17. A work for unaccompanied SATTBB choir, constructed in the form of a Byzantine Canon. The work was commissioned by James Lancelot and the Choir of Durham Cathedral who gave the first performance on the occasion of the 1300th anniversary of the death of St. Cuthbert: 20th March, 1987. 'Commissioned by James Lancelot and the Choir of Durham Cathedral who gave its first performance on the 20th of March 1987, the 1300th anniversary of St Cuthbert's death. Structurally modelled on a Byzantine Canon, Ikon of St Cuthbert, 'an ikon of music and words in the place of wood and paint, seeks to recall, in its stylized form, the personal aura of Cuthbert, Saint of Lindisfarne'. The text is again by Mother Thekla, a contemplation on Cuthbert's life from his early piety and life as a monk, acts of spiritual healing, consecration as a bishop and retreat into solitude, to his death on Farne and ultimate burial in Durham. Imagery of water runs throughout the verses. This beautiful anthem launches the Jennifer Pascual Series, and a more heavenly piece could not have been chosen. Richard Burchard has established himself as a composer of modern polyphony and creates some of the most gorgeous harmonies heard in the 21st century. This Latin setting of In Paradisum serves as a sacred piece for Lent in worship or a concert selection for college and fine community choirs. Medium to Difficult. Judith Herrington : Jubilate Deo, Alleluia! This is a fantastic festival piece. The antiphonal nature of the piece begs for creative use of the performance space. The Latin words taken from the Psalms are joyful and general, the parts are easily learned, and the piece works as a great opener or closer for high school choirs. Judith Herrington is a seasoned and respected teacher and that is evidenced in this great selection. Easy to Medium. Taken from Mozart's Missa Solemnis, K. 337, this mass was Mozart's last completed work in this form. Modern clefs, metronomic and dynamic indications and an English version of the original Latin text have been added in this edition. With her sensitive approach to voice leading and passion for tension/resolution, Audrey Snyder has created a choral masterpiece with her setting of the Latin text Kyrie Eleison. Program with her Festival Gloria for an awe-inspiring set. Available separately: SATB, 3-Part Mixed. SSA. Duration: 2:00. Eli Villanueva is quickly becoming a respected name in the musical circles of Los Angeles, first as a soloist, but now as a composer. His artistic setting of the familiar Latin text Laudate Dominum (Praise ye the Lord) from Psalm 150 displays a classical approach with subtle contemporary harmonies. Excellent for sacred use, it will also complement any fine academic program. Available: SATB a cappella. Winner of the 2004 Emerging Composer Competition awarded by the Yale Glee Club, this work is a setting of the Latin antiphon by Hildegard von Bingen. Alternating between joy and reflection, this buoyant work will be a concert showpiece. This beautiful lied by Franz Schubert is skillfully arranged for SATB choir by Jon Washburn. A perfect closing or encore to an all Schubert or German program. Written for All Saints Day, this is also perfect in the sacred setting. Kevin Memley's exquisite a cappella writing has captured our hearts many times. He does not disappoint with this classic Latin text. The place of sacred mystery is honored richly with the harmonic colors he paints each cadence. This is a motet that will be added to the canon of classic settings to be sung by choirs for years to come in both concert and church settings. Advanced high school, college and community choirs. Medium difficulty.